If the foundations be destroyed what will God’s people do? God’s people have diverse views on every subject imaginable. It is as divergent as there are churches. You may have differences on where to draw the line on standards, but we dare not falter on this issue! There are foundational truths that cannot and must not be compromised if the next generation is to know the power of God and the power of soul winning. One of those doctrines has to do with whether or not God’s people have an “every word Bible”TODAY! Are there 22,000 mistakes in our King James Bible? Are the words our grandparents read from and we read from out of the KJB inspired? Do we have to go to England in order to find THE Words of God? Is there such a thing as “incorruptible seed” and “corruptible seed” when it comes to Scripture? Where are the answers and what are the answers? 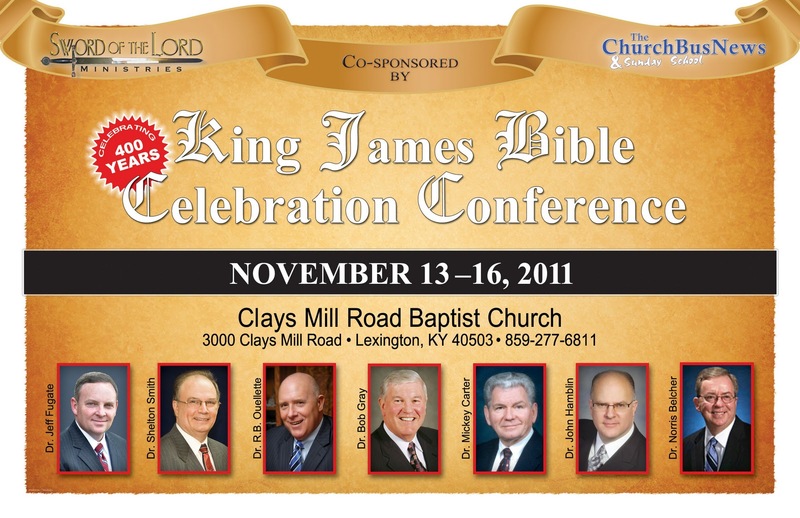 Do not miss this conference on this 400th Anniversary of our King James Bible for the English speaking world. I believe it will be enlightening and one of the most helpful conferences you have attended in a long time! GOTTA LOVE THE KJB!